For 15 years, Amy Haussler of Holton worked as a school psy­chologist for the Holton Special Education Cooperative, most of that time under former long-term Director of Special Education Mark B. Wilson. It was during Haussler’s second year with the co-op that she jok­ingly told Wilson that one of these days, she would have his job. “He laughed and said, ‘You mean this actual seat, or just being a director?’ I said, I’ll be a director. We’ll just see where I end up landing,” she said. Starting with the 2016-17 school year, Haussler will occupy the seat that Wilson retired from five years ago. 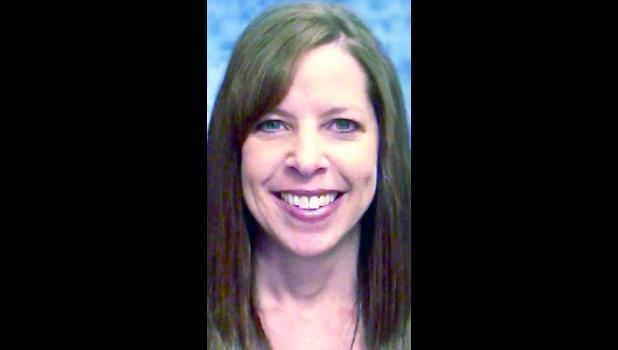 The USD 336 Board of Edu­cation last week offered a contract to Haussler as the co-op’s director, taking over from Vicki Vossler. Haussler, who’s been working the last four years as director of special education for the Marshall-Nemaha Educational Services Co­operative in Seneca, couldn’t be happier. During her 15 years with the Holton co-op, she said she was also able to build good relationships with staff members and families in the community. Coming back to Holton, she said will give her an opportunity to build on those rela­tionships. Haussler also sees the Holton co-op as a source of endless opportu­nities for growth. One of those great things, she said, was Wilson’s leadership — and influence. It was, in fact, Wilson — and his assistant and later predecessor, Vicki Smith — who encouraged Haussler to seek a degree in ad­ministration in 2008, she said. “They gave me that push that I needed to step up and start learning how to do this,” she said. Already having earned her Ed.S. in school psychology from the University of Nebraska at Kearney, she sought administrative degrees from Emporia State University, earning a building leadership de­gree in 2009 and a district leader­ship degree in 2012. That was the year she took on her current position with Marshall-Nemaha, and while she’s grateful for what she accomplished there, Vossler’s departure opened the door for her to cut the commute and work closer to home. She’s lived in Holton for nearly two dec­ades with husband (and Holton High School teacher) Kurt, with whom she has two children.